Whether it is to repair a scratch or more important damage to the bodywork of your Volvo, John Scotti Volvo in Saint-Léonard can help you. We offer several body repair services, and there is nothing that our experts cannot fix. To get your Volvo back in perfect condition, trust John Scotti Volvo. Our collision centre has a team of experts who know your Volvo, no matter the model or year. Our technicians use high-end products and state-of-the-art technologies to ensure the quality of their work, and above all to ensure your satisfaction. In addition, we only use Genuine Volvo Parts in all our repairs. 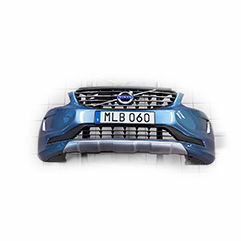 In doing so, we preserve the quality and performance of your Volvo, but also its resale value. We can also work with you and your insurance company if necessary. There is nothing we cannot fix at John Scotti Volvo. Whether it's surface damage from a light collision or more extensive damage requiring new parts, we'll be able to help you at John Scotti Volvo in Saint-Léonard. Come discover our repair centre today. You will be surprised to see all the expertise that awaits you and the quality of our facilities. You will also see that attention to detail is something our entire team excels at. At John Scotti Volvo in Saint-Léonard, surpassing your expectations is always our priority. If you have been in an accident, contact us today. We will be there to answer your questions and get you back on the road quickly. We can also give you a detailed assessment before starting the work to avoid any surprises. We are waiting for you today!